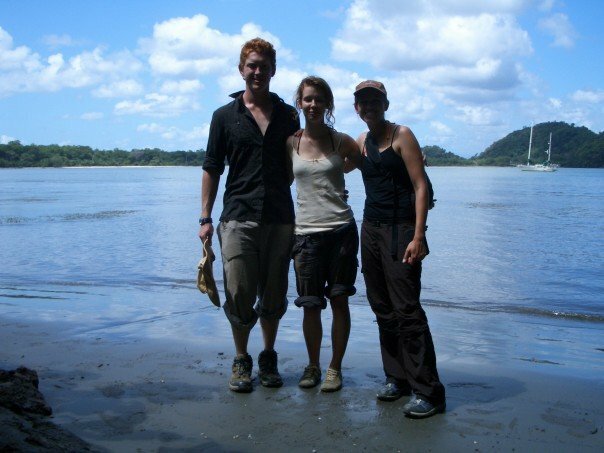 Tela — spiders, lizards and howler monkeys, Oh My! The Lancitilla Botanical Gardens were planted in 1925 by the United Fruit Company. Supposedly, both to determine which fruits would grow best in Honduras, and also as a conservation effort. It is an impressive project. For whatever reason, the company imported several poisonous fruit trees. All of the guidebooks had warnings about the poisonous fruits, and not to touch anything marked with a skull and crossbones. My host family also warned me not to eat any of the fruit (not actually much of a concern as it is not fruit season). And as we walked into the park, the woman at the information booth had one important piece of advice — don’t touch the trees marked with a poison symbol. 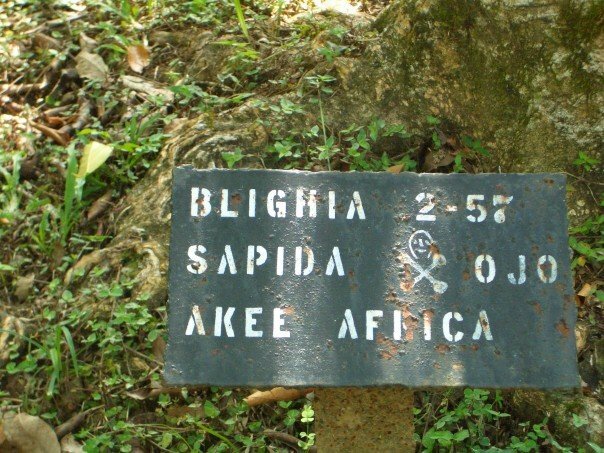 All of those warnings, combined with the skull and crossbones on the marker in front of the trees, encouraged us to keep our distance. Upon my return, I learned that everyone is so concerned about the poisonous fruit because, apparently, one of the park employees ate a piece of it a few years ago and died. The fruit is not messing around. Our second day we took a guided tour to the Jennette Kawas National Park, Punta Sol. The park is widely held as the best in Honduras. Jennette Kawas was a Canadian working to conserve the wilderness areas around Tela when she was murdered in her Tela Home in the mid 1990s. Rumor has it that she was killed by high ranking military officials who wanted to develop the land for tourism. Her killers have never been caught. Shortly after her murder the area was officially named a national park and given her namesake. 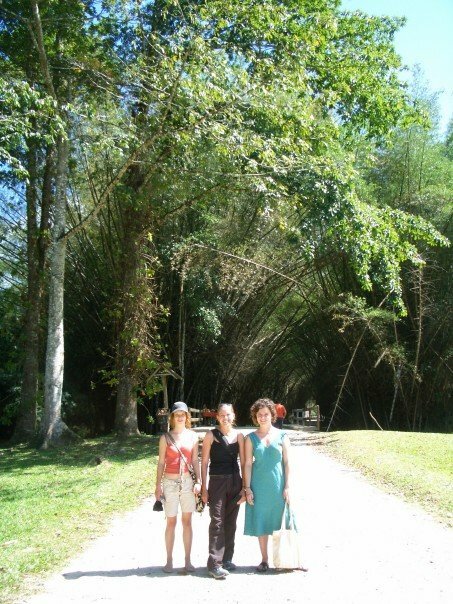 We hiked through the jungle, learning about the poisonous spiders that lined the trail, “When one of those bites you, you start to feel faint, feverish, and like you are going to throw up. Then your heart stops. But it doesn’t stop that fast, we have time to emergency you to Tegucicalpa.” explained our guide. I kept my distance from the spiders. We also saw poisonous lizards with big red things that they puff out around their necks when they are mad or scared. All I could think of was the scene with the spitting lizard in Jurassic Park. The lizards can jump from the trees to attack when they were scared or defensive. I made wide arcs around their trees. 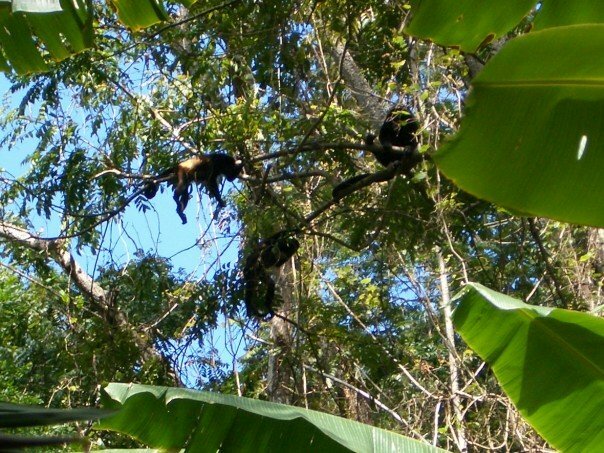 The highlight of the trip for me was seeing the wild howler monkeys. We saw about 10, one of them a mother carrying her infant. Our guide howled with them a bit, but they weren’t very conversational. We stopped for a rest on punto escondido, one of Captain Morgans famous hang-outs. Supposedly his treasure is still buried on the shores there, though we didn’t have time to start looking. We spent the rest of the afternoon lounging on beaches and in hammocks and swimming in the Caribbean Sea. We ate full fried fish cooked up in the small village in the park (pop. 16).The villagers are allowed to live in the park because they were there before it was converted to a national park. There are some children in the village, but they do not attend school, because the nearest one is a 3 and half hour walk through the jungle. Overall, it was an amazing (long) weekend and one that prompts my boyfriend to point out that I am on vacation. I am so glad that I have had the opportunity to spend some time here volunteering and getting to travel around the country. I will be working the rest of this week in La Esperanza, and bringing in the food to the women in the Albergue tomorrow. The women remain incredibly grateful for the food and the education and I just want to thank all of you again for your donations. Next week is Semana Santa (a week long party in celebration of Easter). Virtually no one has to work next week, and I am planning a trip to visit a friend in Costa Rica. 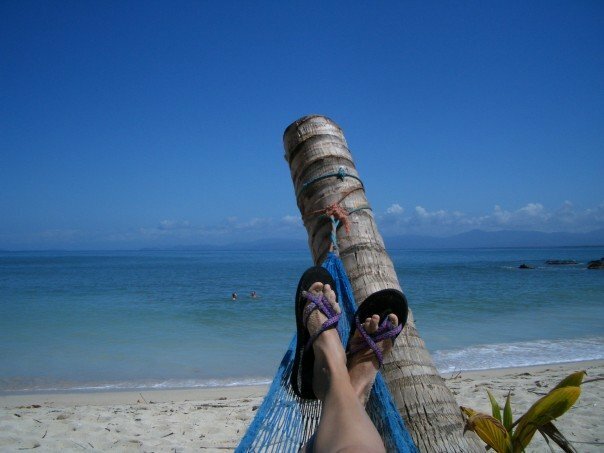 I like the last, clever photo very much of the feet in the hammock and the beautiful sea and sky. Jealous of your moment on the hammock, hopefully we have planned in plenty of time like that when I visit.